Everyone picks up little tip and tricks when they’ve been playing in a certain field for a while that gives them an edge over those, not in the know. We’ve been grooming Aussie beards for Nearly 5 years now and we’ve picked up a heap of tips and tricks on how to get your beard looking it’s best, a beard so good it’s the envy of every other non-bearded man and a complete lady killer! We find more often than not it’s the things guys are doing wrong or not doing that hold them back. 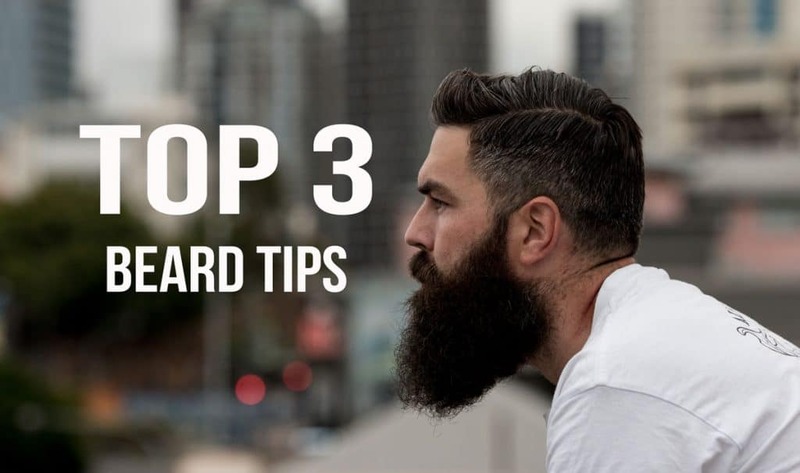 So without holding off any longer here are our Top 3 tips to getting your best beard yet! #1 Hair Shampoo Is A Big No No! We see so many beards in horrible condition because of the use of hair shampoo, so many guys just reach for the bottle of 2 in 1 when washing their hair and rub some in their beard at the same time not realizing what they are actually doing. Let’s be straight up, us men are tasked with some pretty heavy duty jobs and our beards often cop the brunt of our dirty ways, so they do need a good clean but let’s just take a look at what shampoo is used for first. Shampoo is designed to clean and pull the excess oils from your hair so it doesn’t look greasy. ever notice how your beard hair is a different kind of hair? It’s already super dry, coarse and rough to begin with, IT DOESN”T NEED EXCESS OIL TAKEN OUT OF IT! This is also why guys get itchy under their beard because the beard hairs are stealing the oil from your skin beneath leaving your skin dry and itchy and causing beardruff. Give it a try, give your beard a good scratch and watch all the tiny bits of white skin that flake out. Gross we know! The key, STOP USING HAIR SHAMPOO IN YOUR BEARD! Use a specifically designed beard wash that will clean your beard with a light foaming action that will actually replace and increase the number of softening oils in your beard. 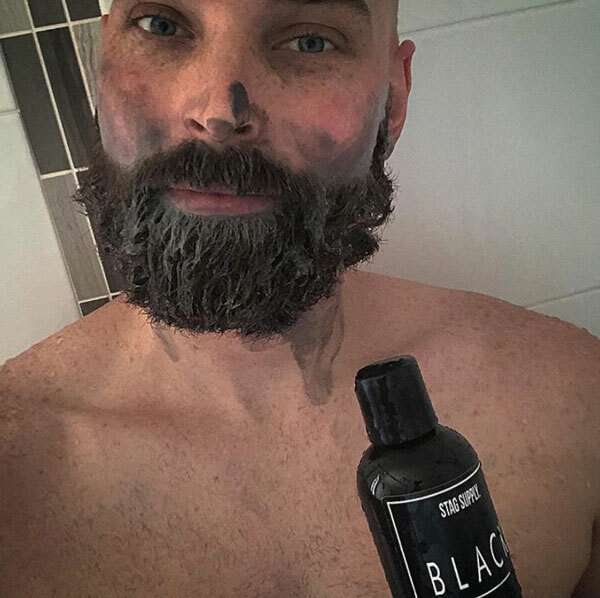 Check out our most popular beard wash here, It actually uses activated charcoal to clean your beard instead of harsh chemicals. 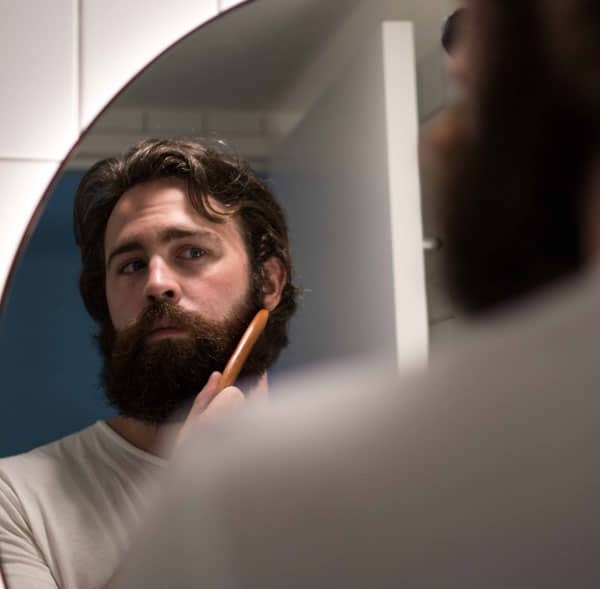 Trust us, we’ve seen it countless times before when guys make the switch to beard wash they see a huge improvement to the look and feel, it’s one of the easiest ways to improve your beard and so many guys just have no idea. It cleans your beard without harsh chemicals and foams, leaving it super soft and clean. Yes, guys can get away without coming or brushing their hair, a lot of hairstyles actually are based on messy unbrushed hair and look great but does a beard ever look good messy? Nah, didn’t think so! As we mentioned before your beard hair is different, It’s coarse and rough and it already wants to go in all different directions in your beard. Now, we are never going to straighten a beard out, it just isn’t possible but by combing your beard every morning you will comb all the beard hairs into a similar direction and over time will help train your beard to grow in that direction. Make sure you use a comb with wide gaps between the teeth if it is too fine you will actually pull beard hairs out when you comb. A daily comb through of your beard works wonders in the future look of your face fur. We see a lot of guys looking for a quick fix and it just doesn’t work like that. Like anything good, it all takes time and consistency is the key. 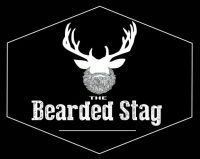 If you’re using beard oils, beard balms or any other beard grooming product don’t expect it to be a one time fix, as great as all our beard products are they work best in a regular routine. By being consistent your beard will always look the best it possibly can but most importantly your beard hair will be healthy and strong and your skin beneath in great moisturized condition. This gentleman is the secret to getting your beard, skin, and body primed in a good state to grow your thickest, strongest and best-looking beard! If your grooming routine needs a refresher or you don’t know where to start, this is what we find works well for the vast majority of beards. About 5 drops of beard oil to an average sized beard after the shower each day. Making sure to get the skin beneath with the oil. A small scoop of beard balm melted between the hands and applied as a styling product to the beard hair only on work days. 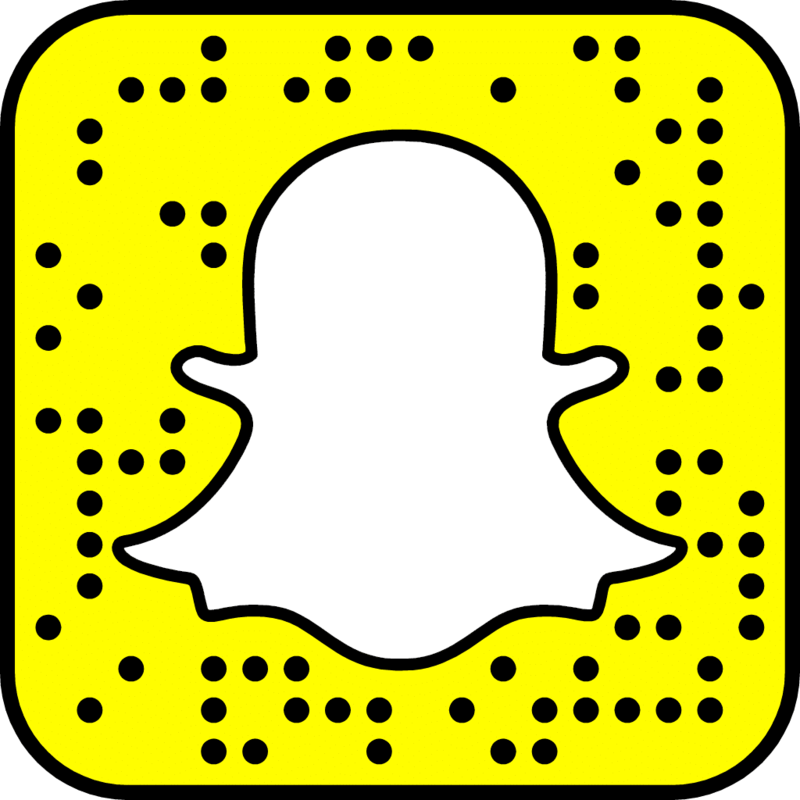 Leave this out when you are just having a chilled, relaxed day. Wash the beard with a beard wash twice a week and comb it every morning. All up this routine will take no more than 45 seconds each day but will do wonders in putting you on the path to your ultimate beard.